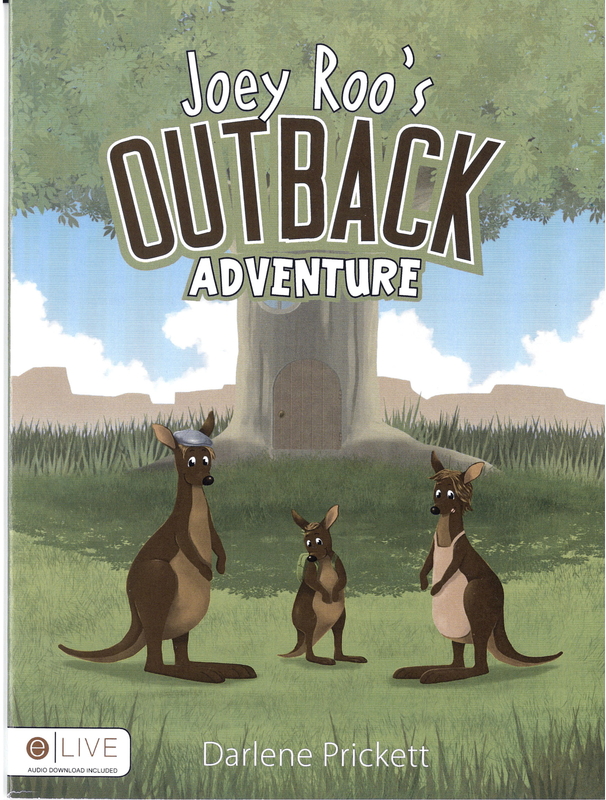 Joey Roo’s Outback Adventure is a delightfully written and colorfully illustrated 24-page, seven-by-six inch children’s book that can be appreciated by young and old alike. The book is Darlene Prickett’s first in this genre, although she has already written two young adult/tween books, It’s All About Emily and Grown-ups Are Just Too Weird. An Eau Claire resident, she knew she was a writer since age 10 when she won an essay contest sponsored by the Ferguson, Mo., chapter of the Daughters of the American Revolution. Joey Roo is a little kangaroo who lives in Australia with his mom, Mama Roo, and his dad, Papa Roo. He tells his mother one day that he wants to go on an adventure, and packing a grass sandwich, off he goes, and decides he wants to find a gift for his mom on his adventure. On his travels, he meets up with the following animals: Mrs. Croc ( a crocodile), an owl, an emu (a large bird), a Tasmanian Devil, an echidna (like a possum but with a spiny back), and finally a koala bear from whom he finds the right gift for his mother. Prickett shared that she really doesn’t need any inspiration to write per se. She can write anywhere, anytime. However, she gets many of her ideas when she gets severe migraine headaches, which through the years she has learned to manage. Thus, the idea for Joey Roo was born out of a headache. Joey Roo’s Outback Adventure written by Darlene Prickett with illustrations by Alvin Jude Behik, is available at The Local Store, 205 N. Dewey St., or online from Tate Publishing, www.tatepublishing.com.